Fine Art Paintings from the 19th Century or Modern Art for your Interior! The Davidjan Art Gallery Collection consists of paintings from listed artists from Europe and Russia. Our biggest collection & main specialisation are paintings from the 19th Century. Discover now our European Paintings (here). Since many years we started dealing with upcoming contemporary Artists. Soon we will presenting an amazing collection by talented modern painters. 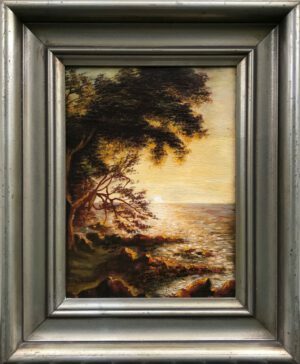 Beside paintings, we are offering antique Frames (here) for mirrors or Artworks (here) like furniture, sculptures and more from the 19th Century & Art Deco. If you are looking for a special piece in your Interior room, message us. We we will find your favorite item (Contact us). Ask now our price list. Our price-performance ratio is fair and praised from our clients. Especially in Moscow we do have an free delivery. See how our paintings are fitting in your room! Upload now a picture of your room and we will insert our paintings in the desired position. It is quick, easy and free of charge!